You should never take your beauty care, or your skin, for granted. While it may be possible to skate through for some time with haphazard care, this will catch up with you in time. Nobody wants to be the woman who looks into the mirror one day and discovers that her face is becoming lined and wrinkled. It’s true that none of us can totally escape what time and gravity will do forever, but there are certainly ways to keep looking good no matter what age you are. Learning proper skin care should actually begin when you are a child, but definitely by the time the teen years have rolled around. Even if you were born with genes that have given you normal, healthy skin, there is no guarantee that your skin will stay that way. If you want your skin to stay healthy, you have to give it some respect, not only as regards the products you use on it, but as regards your lifestyle as well. · The most dangerous enemy your skin has is the sun. While the most visible sign of sun damage will be sunburn, the real harm to you skin will occur in the middle layer, the dermis. Ultraviolet radiation from the sun will penetrate right down into this layer where it will start to break down the elastin that keeps your face bouncing back when used, and will also harm the collagen which forms the skin’s connective tissue. This will contribute to sagging and wrinkling, and this can occur while you are quite young if you are a serious sunbather. UV light can also alter the DNA in skin cells, causing them to become cancerous. · Exercise should be a regular part of your life. Exercise helps to keep your body trimmer and will increase circulation. Increased circulation means that more blood will be delivered to your face to nourish the skin, healing any damage done by environmental factors. · Smoking is one of the largest contributors to wrinkling of the facial skin. When you smoke, some of the oxygen in your blood is replaced by carbon monoxide, starving your skin cells of the nutriment they need to stay healthy. · Your choice of diet will also affect the health of your skin. Although it’s been proven that foods such as chocolate will not cause pimples or acne, you should keep in mind the old phrase “You are what you eat”. A diet of junk food and a lot of greasy or sweet food will not provide the nutrition you need for your body to function as it should. · Getting the proper amount of sleep is also essential to maintaining your good looks. Our lives are full of stress, and this takes a toll on every part of us. As Shakespeare said, “Sleep that knits up the raveled sleeve of care”, and it does just that, refreshing both our minds and our bodies. All skin needs help to stay as healthy and young-looking as possible. When you are collecting your skin products there are always several things to keep in mind. · You should always be aware of your skin type, this will have a direct influence on the treatments that you choose. Dry skin will require cleansers that will not strip away too much essential oil, and a moisturizer that will help nourish dry skin and prevent flaking. Those with oily skin will need a cleanser that can remove excess oil so that pores do not become clogged and inflamed. Likewise, the moisturizer used for oily skin will be lighter than that for dry skin and will not aggravate skin conditions. 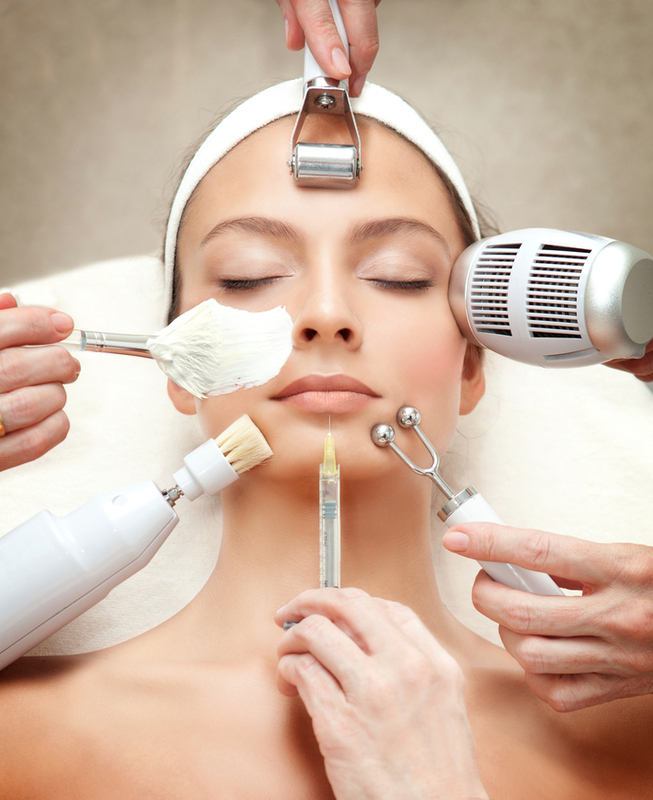 · Those who have acne will have to be a bit more particular in their choice of skin treatments. If you have acne, you are actually dealing with several skin problems at the same time: oiliness, infected pustules, and sensitive skin. Getting acne under control will require a proactive approach, where acne is directly treated to help it to heal. Acne is not just a surface problem, it originates beneath the skin as well, in overactive sebaceous glands. · Sunscreen should be considered a part of your face care regimen if you are going to be spending any amount of time outside. Sunscreen will usually be applied after your face has been washed and moisturized, before foundation makeup is applied. One of the best ways to choose products that will help your skin stay healthy is to read the label of ingredients and do a bit of research online. Product reviews can help steer you to cleansers, moisturizers, and makeup that will best fit your skin type and condition.